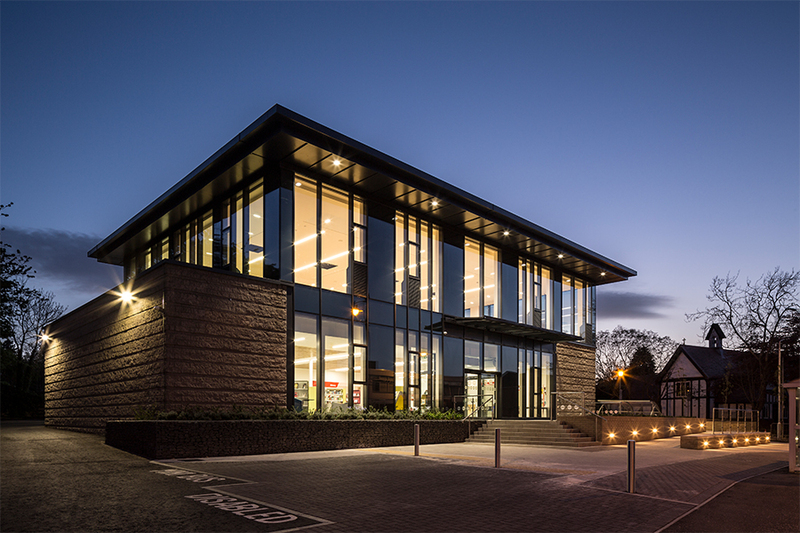 Bearsden Community Hub is a retrofit project to co-locate and consolidate council services into a single location. 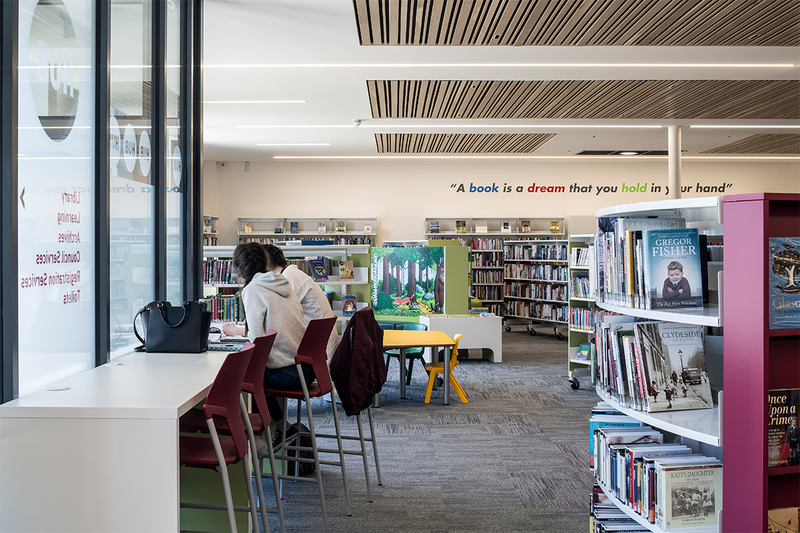 This brings together library, social work, registry, bill payment and other council services into one location – whilst retaining the hall areas and functions of the existing building. This offers enhanced service provision to the community while facilitating cross-fertilisation between services and cost savings for the council. The existing building had no connection to the community, the public entrance was through a small side door and the building had been created as an island in a car park. 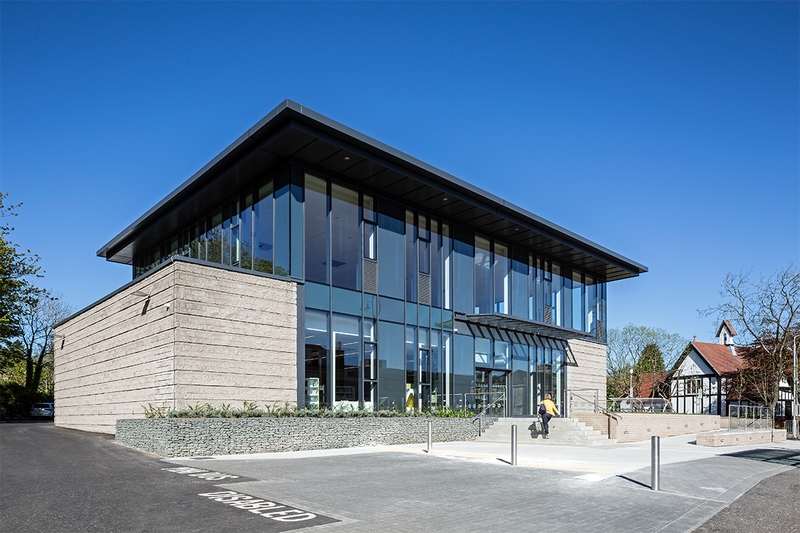 The refurbishment successfully reconnects the building to the community by relocating the entrance to the main street and opening up this elevation. The design also creates the only civic realm within this urban centre. Internally, the main innovation on was to create more floor space within the same building envelope. This was achieved by inserting a steel frame and new first floor within the existing hall. Bearsden now has a first class, multi-functional, public facility which repairs the urban fabric and gives the community a civic heart.